When Shanté moved into the Better Housing Coalition’s Lincoln Mews community last summer with her son, she had no idea her family would grow so quickly. A year ago, Shanté and her 9-year-old son Darelle were homeless. Adding to the stress of not knowing where they would sleep at night, Shanté was unemployed. Due to their frequent moves, Darelle’s grades were suffering. Shanté was also pregnant, and with no nearby family members to help, she was desperate to make a change. “I couldn’t understand how this could be happening to me,” Shanté said. 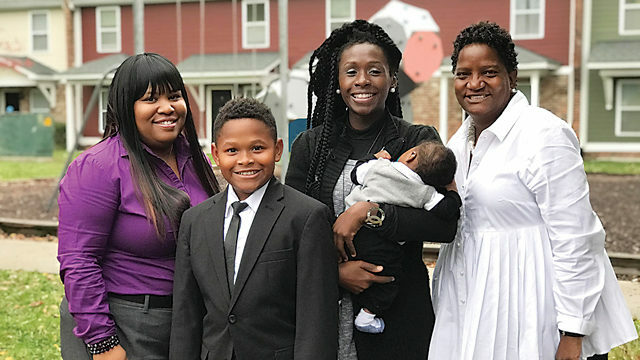 “I had to swallow my pride, and ask for help.” A rapid re-housing program helped Shanté and Darelle find a safe, affordable apartment at Lincoln Mews in North Richmond, within walking distance of Ginter Park Elementary School. Founded in 1988, the Better Housing Coalition is the Richmond region’s largest nonprofit community development corporation. Its mission is to change lives and transform communities through high-quality, affordable housing. BHC owns and manages fifteen rental communities across Greater Richmond for working families and seniors of modest means. Though the annual income range of Lincoln Mews residents varies widely (from under $1,000 for a family of three to nearly $60,000 for a family of five), the average annual household income across the 245-unit property is $20,735. To help the 2,000-plus residents of its rental communities build paths to brighter futures, BHC offers free and voluntary resident support programs. Delivered onsite by BHC staff, the programs are underwritten by philanthropic donations. At Lincoln Mews’ community center, Shanté met Career Navigator Kristen Bellard and Resident Services Coordinator Pam Crawford. With Shanté’s input, Kristen and Pam developed a plan of action for Shanté and helped Shanté stick to it. They were impressed by her resolve. “Shanté came to us with three clear goals in mind,” said Kristen, “to land employment, get a degree, and secure childcare.” While Darelle participated in after-school activities at Lincoln Mews, Shanté enrolled in BHC’s 8-week job readiness program. Pam challenged Shanté to apply for a BHC higher-education scholarship, which she won and used to study social science at Reynolds Community College. Shortly after giving birth to Amir, Shanté resumed her studies and job search. “Kristen and Pam helped keep me on track,” Shanté said. Darelle began to flourish at Lincoln Mews. 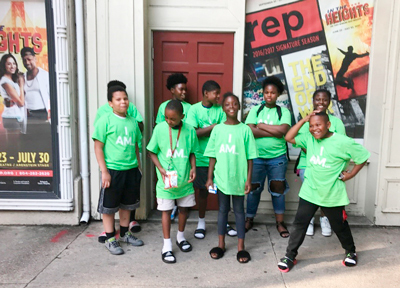 With his young neighbors, Darelle helped raise money for kids with cancer, and became interested in live theater on a field trip. His grades improved, too. Darelle is now performing at the top of his math class. Thanks to Shanté’s determination and her extended BHC family, she is on track to accomplish her goals. She recently landed a full-time job and has found childcare for Amir. For the team at BHC, helping Richmond-area families connect with affordable housing brings them one step closer to realizing their own dreams and goals for the community. Learn more about the Better Housing Coalition here.